Please visit Patter Cross's blog HERE to read her teaching based on her challenge for this month. I found a great scripture to use from The Voice bible. 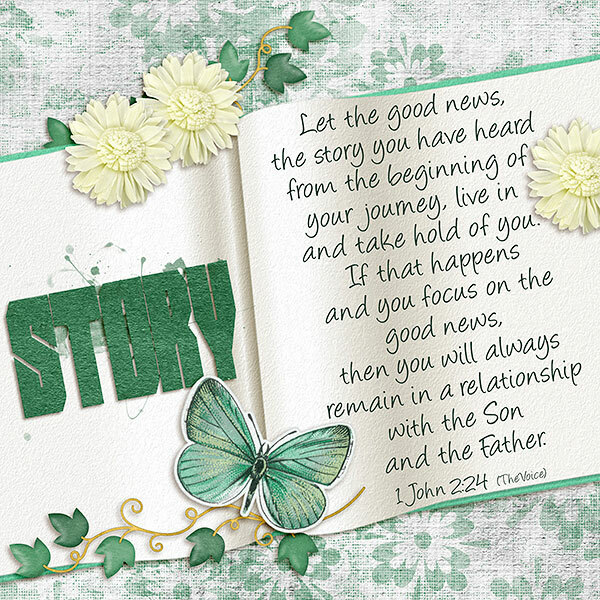 This verse tells me that I need to be more prepared to share the Good News with others. There are times I feel I do not live a life that shows the good news of Jesus. I need to be more saturated in His Word so I can be better prepared to share the best Story ever told. All digital scrapbooking products I used are by Patty B Scraps.